Finding the right wedding dress is not an easy task, because many brides go shopping for their wedding dress without knowing exactly what to expect, they try on different wedding dresses without knowing exactly what they are looking for, this is why you should follow some tips and keep them in your mind before going to shop for your wedding dress. A wedding dress is very important for every bride, because it is the most important dress you will ever wear! So to help you find the perfect wedding dress we are sharing some amazing fashion tips with you. The earlier you start looking for your wedding dress the better, don't leave it up to the last minute, because wedding dresses need a few months to get altered, ordered, or made. Some brides start looking for their wedding dress 10-8 months before their wedding, to make sure they don't end up facing any issues that need time tp be fixed. Most bridal boutiques take brides by appointments only, to make sure they give every bride the attention she deserves. Make sure you call the boutiques ahead of time and take appointments, this will save you time as well, especially if you’re planning on visiting upscale wedding dress shops. Also if you book an appointment, the team at the shop will make sure you have someone there to help and advise you while shopping for your wedding dress. Let's start with the basics, and by basics we mean your undergarments or lingerie, and specifically the ones you will wear under your wedding dress. The undergarments or lingerie you’ll wear on your wedding day will make your dress look better and feel better. So, remember that you need to buy your undergarments and try them on when you are trying on your dress. And before you buy your undergarments, make sure you know exactly what the style of your dress is. So the big question is: What kind of lingerie works best with your wedding dress? Don't forget to bring heels at the height you think you will wear on your wedding day. Although many bridal shops have heels you can try, but they may not be your size, or the height you want to wear. Never wear makeup when you are trying on wedding dresses, because the last thing you want to do is to leave makeup or foundation stains on a wedding dress. Before going to the bridal shop, make sure you have a rough budget in mind, and once you're there make sure you tell them your price range, so they can help you try on all the wedding dresses that come within your budget. This way you don’t have to try and maybe really like a dress that you can’t afford. Make sure you appoint more than one fitting, at least 3-4 times, to make sure of the size, any details you want add or remove, and any other details your dress might need before taking it home with you. Every bride has a different body type, so get to know your body type and what suits it before you try on different wedding dresses, this guide will help you with everything you need to find your dream wedding dress. All body types are beautiful so work with what suits your shape. Click here! Every bride should do some research before going shopping for her wedding dress, look for some inspiration and ideas on what you would like in a wedding dress. 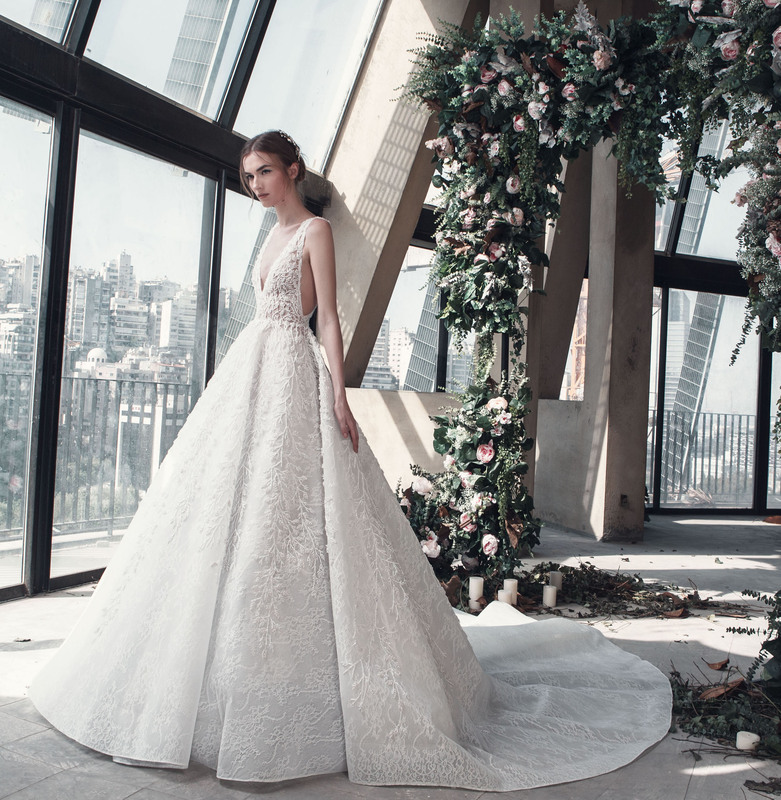 Take a look at your favorite wedding or bridal blogs, bridal fashion designers and bridal boutiques to keep up with their new collections. You can always visit our Bridal Designers page and take a look at the latest wedding dress collection by your favorite bridal fashion designes! Many brides end up choosing a wedding dress that’s the exact opposite of what they thought they wanted when they started shopping. Try everything you love, but also try a dress or two that are outside of your comfort zone, don’t be afraid to try on something totally out of the box. Make sure your wedding dress fits you right, and that it fits your body proportions, always make sure the wedding dress balances your shape and proportion and is tailored perfectly. Make sure you keep in mind your wedding venue when you are going wedding dress shopping, because you should choose a wedding dress that suit the place you are getting married at, for example it would look a bit odd if you wear a princess ball gown to a beach wedding. To help you find the perfect dress for your wedding venue read: Choose The Right Wedding Dress For Your Venue. Make sure you keep in mind the season you will be getting married in, and choose your wedding dress' fabric and style accordingly. If the bridal boutique you are at allows taking pictures, make sure you take some pictures while trying on the different wedding dresses so you can have something to look back to when you're done and compare the way you look in different dresses, this will help you see which wedding dresses you prefer. When it comes to wedding dresses, you should forget about sizes, because wedding dresses usually come ins smaller size tags than your day to day clothes, and nearly every wedding dress needs alterations to suit the bride who bought it.